Beatrice Gutierrez, 80 of Greeley passed away on Tuesday, October 9, 2018 at NCMC. She was born July 29, 1938 in Lamar to Eladio and Luz (Caiaso) Vargas. She grew up in Grenada and graduated from Grenada High School and then CU Boulder with a Bachelor of Education. She married Anthony William Sandoval and he preceded her. She then married Jose Angel Gutierrez and he died in July 2009. She worked for community outreach with migrants throughout Northern Colorado. She loved to dance, sing and go to parties and loved music. 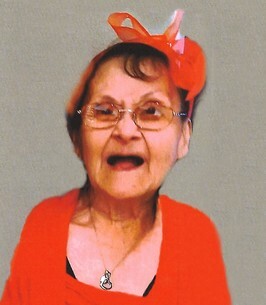 Survivors include her children; Cherry Sandoval, Renee Sandoval, Annette (Manuel Carrasco) Rios and Joe Anthony Gutierrez, 10 grandchildren, 22 great-grandchildren and 2 great, great-grandchildren, stepchildren; Juan, Jose, Patrick and Alex Gutierrez and Diana Hartmarr and their families. She was preceded in death by her parents, husbands, 3 sisters, 4 brothers and great-grandson. Visitation 11:00 a.m. to 1:00 p.m. Saturday, October 13 followed by service at 1:00 p.m. at Adamson. Inurnment Monday at 2:00 p.m. at Sunset Memorial Gardens. Friends may leave condolences at AdamsonCares.com. We encourage you to share any memorable photos or stories about Beatrice. All tributes placed on and purchased through this memorial website will remain on in perpetuity for future generations.